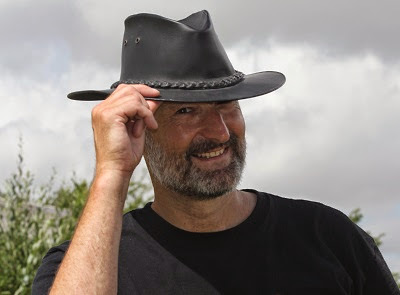 Parking Prankster: Is the Independent Appeal Service a kangaroo court? Is the Independent Appeal Service a kangaroo court? Hello to any BBC readers. This blog examines the practices, good and bad of the private parking industry. Since October 2012 private parking companies have been required to provide an independent appeals service for motorists who disagree that the ticket has been validly issued. Initially, the British Parking Association offered the POPLA service. Statistics show that around 50% of appeals are upheld by POPLA. A new trade association, the Independent Parking Committee, then formed, run by Will Hurley and John Davies of Gladstones Solicitors. They created their own appeals arm, called the Independent Appeal Service, which was run on entirely different lines. Parking Review reported that only 20% of appeals were upheld. Many parking companies decided to forum shop' and move to the IPC. Excel Parking, for instance, in the February 2015 issue of Parking Review revealed they had decided to forum shop and move to the IPC so they could win more appeals. Possibly because so few appeals are won by motorists, a number of online forums refer to the IPC Independent Appeal Service as a kangaroo court. But is that fair? This blog takes a close look at the IAS to decide whether it is a fair and unbiased appeals service or really is a kangaroo court. To start with, the definition of a kangaroo court is taken from Wikipedia. A kangaroo court is a judicial tribunal or assembly that blatantly disregards recognized standards of law or justice, and often carries little or no official standing in the territory within which it resides. Merriam-Webster defines it as a "mock court in which the principles of law and justice are disregarded or perverted". The term may also apply to a court held by a legitimate judicial authority who intentionally disregards the court's legal or ethical obligations. A kangaroo court is often held to give the appearance of a fair and just trial, even though the verdict has in reality already been decided before the trial has begun. At first sight, the IAS appears to fit this definition perfectly, but to be fair to Will Hurley and John Davies, the geniuses who mastermind the IAS, a more detailed look should be taken. 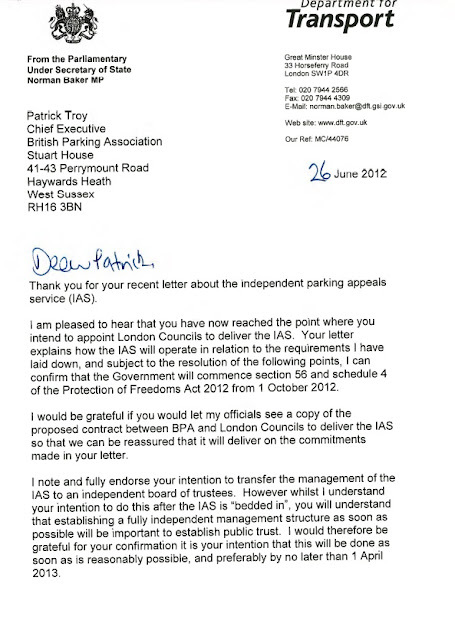 We can start with the opinions of the parking companies who use the IAS. Here is an email from Northern Parking Services which was accidentally sent to the motorist rather than to 'Darren'. On the face of then, Northern Parking Services are of the opinion that the verdict has already been decided and the IAS process is futile for the motorist. However, they are considering letting the motorist use it anyway, so as to give the appearance of being fair and just. What do other legal experts think of the IAS system? Here is the opinion of the last Lead Adjudicator of POPLA, Henry Michael Greenslade, in his 2015 annual report on the types of process the IAS use. The operator is provided with 5 working days to provide written representations and evidence in support of their response to you. You will be notified by email when this has been submitted and the case will then be placed before an adjudicator for a decision to be made. Please note, you are not able to respond to these submissions but you can view them by logging into the system. As the IAS does not allow motorists to see and comment on the operators entire evidence, it is by Mr Greenslade's definition an unfair service. This has been borne out in practice. In a number of appeals seen by The Prankster, the parking company has submitted false evidence or distorted the truth, yet the motorist has been refused permission to bring this to the attention of the assessor.appeal. The IPC have also refused to reconsider any verdict. In contrast, in cases where false evidence has been presented to POPLA which has come to light after the event, the case has been reheard. It is of course a matter of record that on BBC WatchDog an undercover journalist caught IPC company PCM UK admitting they provided false information in appeals. What does POPLA's scrutiny board think? In an open letter to the BPA they recognised that the IAS 'seems to operate with fewer safeguards. The ISPA Board recognises that the BPA has acted in good faith in establishing POPLA and the Independent Scrutiny Board, as it had been encouraged to do by Government. While the Board has actively pursued a proper resourcing solution to discharge its remit it is aware of the cost pressures facing the BPA particularly since government appears to have endorsed the establishment of a second Approved Operator Scheme that seems to operate with significantly fewer safeguards for the independence of the service. This has led to a potential for ‘forum shopping “ where operators might seek to use an appeals service that provides a favourable outcome at low cost. “If there are ‘competing’ ombudsmen in a particular sector, this can create confusion or the public – who are unsure which business is covered by which ombudsman scheme. And public confidence is less where it is the business that has the choice of which ombudsman scheme to use. This raises the appearance, and the risk, of businesses attempting to exercise an influence over the ombudsman schemes – by favouring the one that they like best and/or by threatening to undermine one scheme financially by threatening to move to another. What doe the IAS's own scrutiny board think? Nothing, because there is no such board. Although the Government required the BPA to set up an independent board to oversee POPLA, they made no such requirements of the IPC. Here is Norman Bakers' letter to Patrick Troy of the BPA explaining that an independent board of trustees is important to establish public trust. Of course forum shopping is now rife, and operators are leaving the BPA in droves for the IPC. Excel Parking explained in Parking Review in February 2015 that their decision to leave was based solely on forum shopping. Not everyone thinks the IAS are a kangaroo court. Malcolm Daughtrey, the IPC’s business development manager, said: “The IPC offer a more robust appeals service which is attractive to operators in providing efficiencies in the way the appeals are administers and the independent and impartial adjudication process. New members who have not be part of any Accredited Trade Association (ATA) have been attracted to the IPC and are currently going through the IPC rigorous audit process before being accredited with membership status." However, it can be fair to say that a large number of respected people agree that appeals services run on the lines of the IAS are not fair to the consumer. A kangaroo court is a judicial tribunal or assembly that blatantly disregards recognized standards of law or justice, and often carries little or no official standing in the territory within which it resides. It is fair to say that the IAS does not meet this particular criteria as it currently has ADR Entity status, awarded to it by the Chartered Trading Standards Institute. The criteria to become an accredited ADR Entity are laid down in law. The IAS falls woefully short of those standards, but once accredited has a short time to fix any problems. The CTSI did a poor job in awarding the IAS ADR Entity status and did not realise the many failings the IAS has. They have now been appraised and so the clock is ticking - either the IAS will have to conform or lose its ADR Entity status. The IAS has addressed some of these failings, but a number continue. For instance, the names of assessors are not disclosed and neither is the full selection method. Thus Will Hurley and John Davies can choose assessors who align with their own world view, and not for instance, accidentally hire someone with the views of Michael Greenslade. The IAS continues to stop motorists from responding to operator evidence. To assess this one can look at the process flow of a number of cases. Once the IAS (owned by Will Hurley and John Davis) has ruled for the parking organisation many motorists quite rightly view the judgment as completely flawed and refuse to pay. The parking company can then get a 15% discount from Gladstones Solicitors (run by Will Hurley and John Davis) to help them take the case to court. However, in all cases reported back to the Prankster, Gladstones Solicitors have fallen flat on their face and the operator has spectacularly lost. A number of these have been blogged. Non-compliance with POFA 2012. From the same case [ParkingEye v Beavis], Moore-Bick LJ said that the provisions in the POFA strongly supported the conclusion that Parliament considered it to be in the public interest that parking charges of this kind should be recoverable. This of course is completely bonkers and shows what a sham the whole appeals system is. This is a typical appeal result which motorists have forwarded to The Prankster. This also confirms that the IAS fails to meet another ADR Entity criteria, which is to use competent and unbiased assessors. It is difficult to argue that the assessor who made that judgment is not either incompetent or biased. When the Prankster complained about UKPC doctoring photographs to POPLA, the matter was investigated, and ended up with the operator being banned from the DVLA. When the Prankster complained to the IAS about operators falsifying evidence and potentially doctoring photographs, The Prankster ended up being banned from the IAS. It is with some regret that we find ourselves in a position where we feel no longer able to communicate with you constructively. Unfortunately, we have tried to engage with you but increasingly your comments and approach lack any objectivity or credibility. It is increasingly clear that your only objective is to antagonise anybody who is connected to the parking industry and that you are not willing to appreciate any other viewpoint than your own. This polarised and warped approach makes communicating with you a complete waste of time. Due to your vexatious approach we will no longer consider any communications from you. For the sake of clarity I can confirm we will not read, respond or consider, in anyway, any correspondence received from you or any company you are affiliated with whether the correspondence relates to you or any other individual. The Prankster has his own opinion but everybody is free to make up their own mind. Certainly the IAS seems to fit all the criteria of the Wikipedia entry for a kangaroo court. Should Motorists Use The IAS? The IAS have two services, standard and non-standard. Opinions are divided on using the standard service. One view is that the judgments are so perverse that the motorist should use the IAS because the operator would not dare use the judgment in court. The judgment can also be publicised on forums to put pressure on the Government to change the system. The other opinion is that using the IAS legitimises them and so it should not be done. The non-standard service charges the motorist a non-refundable £15 and requires them to sign an agreement that they will not dispute the verdict, that they will pay the parking company in full, and they will also pay any debt collection charges added. They are also not allowed to dispute the verdict on any grounds whatsoever. The non-standard verdict should therefore not be touched with a bargepole! With the non-standard service the fox is not only in the henhouse but was invited there by the farmer! The solution is to remove the right to run an 'Independent' appeals service from those who have vested interest in parking companies winning appeals, and place them in the hands of those who are truly independent. The Prankster therefore backs the call of the British Parking Association for there to be one appeals body which services all trade associations, which is truly independent. The service can be funded, as IPSA point out, by a small levy on keeper enquiries to the DVLA. I would support a truly independent appeals service, though I don't think it should be paid for by a levy on the DVLA fee, it should be paid for by the parking companies, the same way the services are funded currently. Nice piece and good timing. Coherently summarised what we already knew and hopefully will open the eyes of inquisitive BBC readers who have decided to seek the Prankster. Agreed, a truly independent appeals service is needed as is a independent regulator as the BPA orthe IPC are incapable of regulating their members. As most pcn's aren't appealed it is more important that the industry is independently regulated to stop malpractices. A truly independent appeals service is obviously the answer. It should be funded in two ways. 1. Appeals in favour of the PPC could be paid for by way of a DVLA keeper info levy as well as a small charge per appeal paid for by the PPC. 2. Appeals in favour of the motorist should be paid for fully by the PPC and the charge should be so high as to deter them from issuing and pursuing spurious charges, I believe £85 is the agreed sum that is both commercially justified and a deterrant without being penal!? This is an important point. A motorist who went through the hassle of successfully appealing one of those spurious charges should get a reasonable compensation for their time in doing so. Maybe the £85 that our Supreme Court decided is reasonable? CPM issued a parking fine against me and when I appealed sending photos showing no signage they sent photos showing signage but their photo was very clearly not from the area that I parked in. I have appealed to IAS and CPM have sent their 'primie face' case basically just reiterating what they said in the first place. I now have 5 days to take one of two routes and after reading this site I don't fancy either. Any suggestions from anybody? Would love to hear your thoughts on my situation. I live on a new housing estate in a rural location. The house builder promised adequate visitor parking but the road on which I live is not yet completed: no surface and no visitor parking bays. No option to pay at a meter or otherwise. Just very unclear signs stating no parking at any time, which incidentally popped up overnight and are too high up to read (unless you are 8ft tall and looking for the signs, but who would be when miles outside of any town). I told my visitor to park on the road outside my house when they visited me. Within 5 minutes a parking charge notice was issued. The parking company, a member of the IPC, has rejected my appeal on behalf of motorist. Is it worth me even appealing to the IPC? The house builder has agreed to reimburse the fine if I pay it. Is it better to do that? I have a militant streak and want to appeal, to ensure justice is served and find out who is behind this parking ban. (Clearly not the local authority.) However it sounds like the IPC are a waste of time. I feel that this type of parking ban on a private residential road outside of any city/town is bizarre and the fine of £100 is totally disproportionate. Having previously lived in central London for 15 years where there were always options to purchase parking tickets or permits, or to park in NCP car parks, this type of outright parking ban is unwarranted. It's not going to be any fun living in a place where I can't have visitors. I wonder if you have you looked into this kind of regime on your blog? Please contact me for a view on this. prankster@parking-prankster.com. I don't want to reply here. "The Operator has provided evidence of the signs at the site, which makes it clear that any driver parking without clearly displaying a valid permit in the windscreen agrees to pay the parking charge. The Operator has also provided photographic evidence to show the Appellant’s vehicle parked on the land managed by the Operator, in close proximity to a sign advertising the terms, and without a valid permit displayed. The permit in view expired the previous day. I am therefore satisfied there is a prima facie case the parking charge is lawful. The Appellant claims they believed their permit expired in April, twelve months after they moved in, but have subsequently discovered all permits expire on the 31 January; apart from their permit which expired on 30th December. The Appellant claims the Operator issued a permit with the incorrect expiry date. The Appellant has provided no evidence to support this claim. The expiry date is clearly visible on the permit and the Appellant has not considered it, as is their responsibility. It is not harassment to make a claim for money, which is legally due to be paid.